Saunders Gorge Conservation area is 75km outside of Adelaide, near the town of Mt Pleasant. 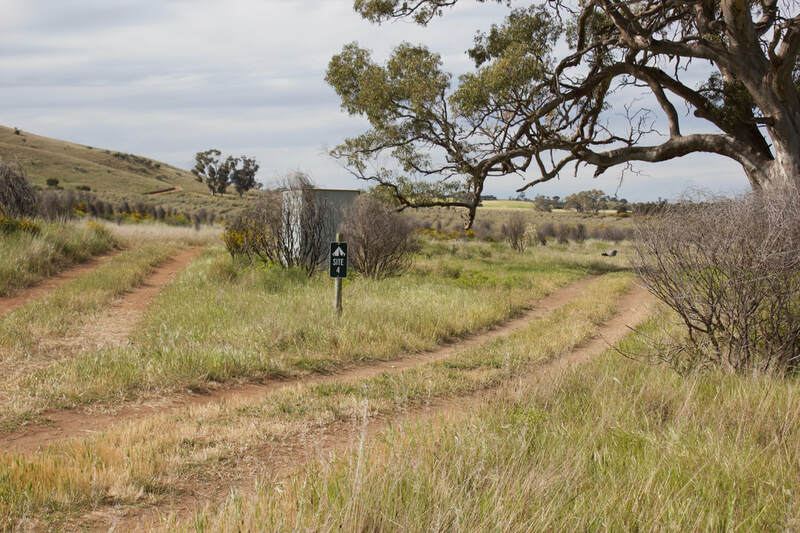 Within the private conservation area there are 4WD tracks - the information regarding this goes under the business name of Eagle View 4WD Track, so if you are confused about the 2 locales, then we can help clear that up. It's all in the same area - the camping and the 4WD tracks, all are located in the one location and run by the same people. Two separate websites, but the same place. For the sake of this review, we will call it Saunders Gorge. To get to this location, from Adelaide it takes just over an hour or so - which means perfect for a short weekend getaway. All location information/details on how to get there can be found here. Whilst it is close to Adelaide, bookings are recommended, as there are only 6 campsites. All contact details to book and find out about availability is located at this website - click here. Cost at time of visit was $25 (family ) entry plus $10 per night for camping. There are 6 campsites, and they do vary in size and shade and proximity to other sites. A couple will be more suited to tent campers, as opposed to camper trailers/caravans. Campsite 1 is large and flat, and in conjunction with Campsite 2, if there was a larger group travelling, booking these 2 sites would work well. If you were not travelling in a group, the sites are close but not on top of each other, which means you will still get some privacy. Both 1 and 2 have some larger trees around them, and would work well if travelling in caravan/trailers. Of course, tent campers will have no problems finding a spot to pitch their tent. There is plenty of room, and it's flat enough. Campsite 3 is smaller and would be best for say, tent campers. It is not as flat as some of the other sites, but you will be able to get a flat spot to pitch a tent. It is on the side of a dry creek bed (was dry when we were there anyway), but I would imagine that with water flowing through this part of the property it would be very pretty and definitely enhance the campsite. Not suited to hammock camping. Not much shade, so in summer it could be uncomfortable without some sort of tarp/shelter. But on a quiet day in the Gorge, it was a very peaceful place to camp. Directly opposite Campsite 3 is Campsite 6 - so if both campsites are occupied, there is no privacy at all. I would have liked one of these campsites to be situated further away, but once again, if travelling in a group of campers, this would work. Campsite 6 is probably also best suited to tent campers, but a vehicle would not have too many dramas utilising either. Just depends on size of your vehicle (smaller the better). As mentioned, at this campsite, you will have direct view into Campsite 3. This site has a bit more shade too. Campsite 3 to left, campsite 6 to right rear of photo. Campsite 4, is one of the more remote campsites, and is pretty exposed, but would suit any style of camping (except hammock). It probably was the least picturesque of all the campsites we viewed, but its private and small or large groups will fit in there quite well. We didn't see Campsite 5 as it was occupied, but this campsite was the furtherest from all the other sites, so it might be the most private. 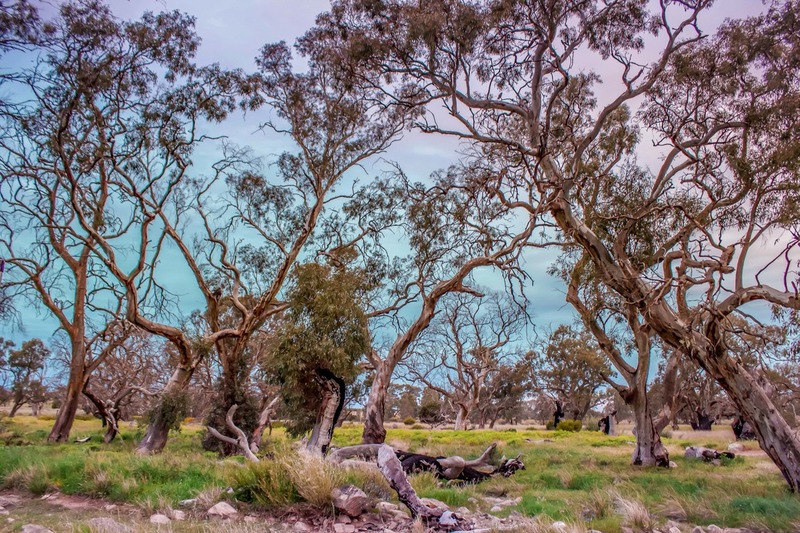 No matter where you are camping, with only 6 campsites, you aren't going to be surrounded by hundreds of people, and that is part of the beauty of this sort of camping (and so close to Adelaide!). You know if you go there, that its very basic but you might just have the place to yourself. If you are concerned about too many others camping, when you ring and book a site, ask how many sites are booked. You do need to be pretty self sufficient. Bring in all your own water. There is no place to get any water (apart from travelling to the township of Mt Pleasant). As mentioned, campfire wood is limited, so if you want to have a big campfire, you should plan on bringing in some of your own wood. There are drop toilets near each campsite. Near campsite 3 and 6 (about 100m away), there are 2 drop toilets. They were pretty hideous. No toilet paper, smelly (even for drop toilets) and full of cobwebs, bugs and stuff on the ground. We couldn't use them. They seem to get a bit of use from those visiting for 4WD day trips. 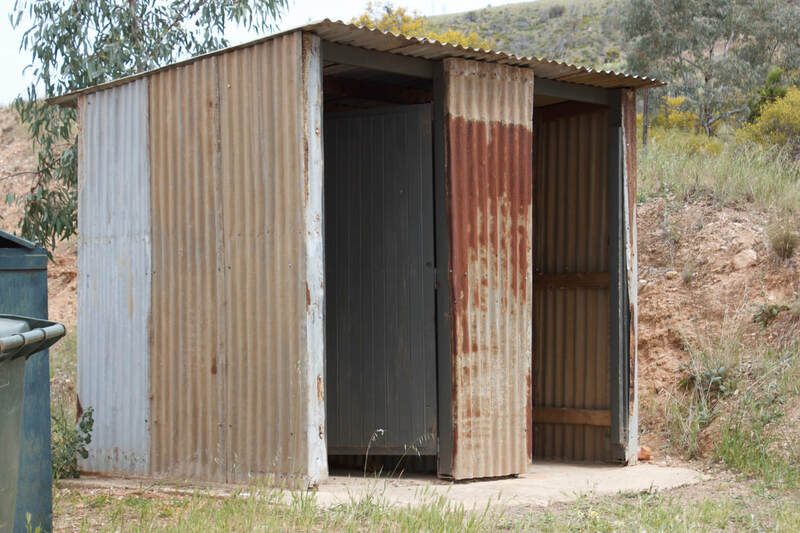 We have seen good and bad drop toilets, and these fall into the latter category. For $35 per night, I would like cleaner drop toilets. Other campsites had their own drop toilets close by, but after our experience, I wasn't going to venture into them for use/inspection. If you have your own chemical toilet, I would highly recommend bringing with you. There is a bin near the previously mentioned double toilets. It's a pretty chill place to relax, and do nothing. You can go for a walk along the creek bed (the further we walked, we did find water, though not flowing too well), and its an easy walk through the Gorge, suitable for all ages. Not long at all. If you are into 4WD tracks, you can pay extra for the experience. Full details and costs are located at the Eagle View website. Bookings are essential for this track. For those of you with teenagers, yes, you can get 3G or 4G coverage here. If you are short on farm fresh produce, or want something scrumptious to eat, you can visit the Mt Pleasant Farmers Markets which is about 15 mins away from the campsite. You can find all details at the website Mount Pleasant Farmers Markets. 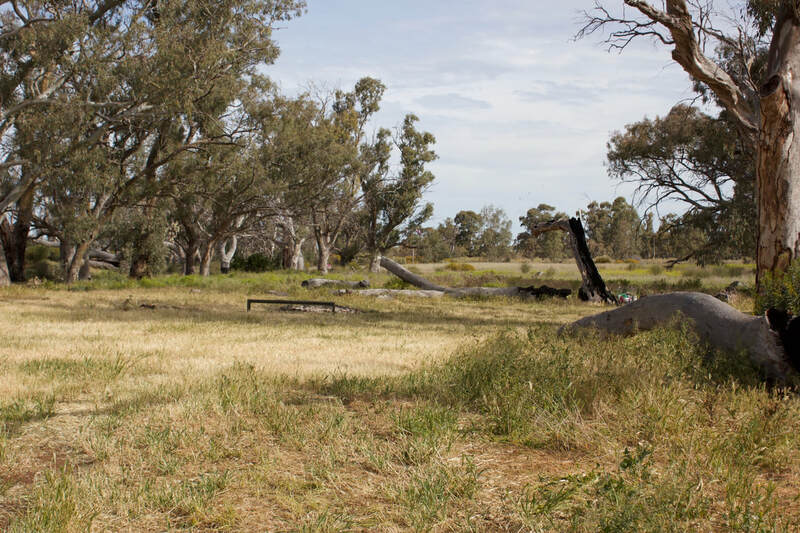 For a place that is so close to Adelaide, this is a great bush camping escape. Need 1 night of recharging your batteries? Then this could be the place, just over 1 hour from the bottom of the freeway at Glen Osmond. What time of year is best? Anytime but summer!